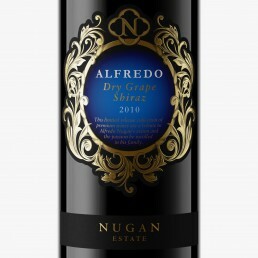 Alfredo is an Amerone style wine, they are known to have a very powerful, full bodied, ripe and alcoholic personality. With that we wanted a rich, opulent look to be captured by the label design. For this export, Australian brand to sit comfortably within the European market the label design styling needed to take its cues from its European forerunners. 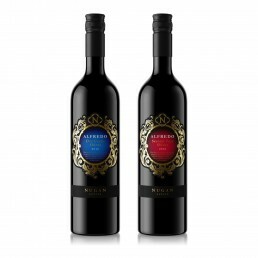 The packaging design solution is a flamboyant, gilded and decorative label with classic typography and bold, regal colours for varietal differentiation. 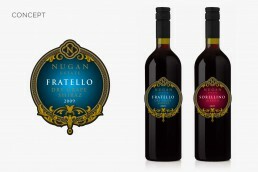 The label is brought to life through combining a number of print finishes including die-cutting, foiling and embossing.